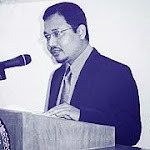 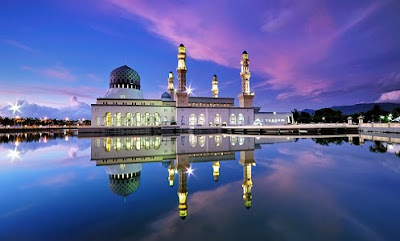 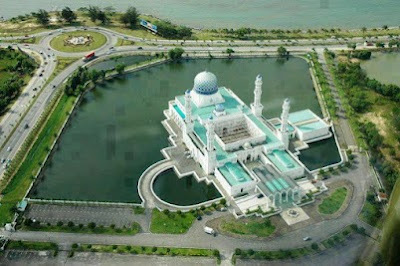 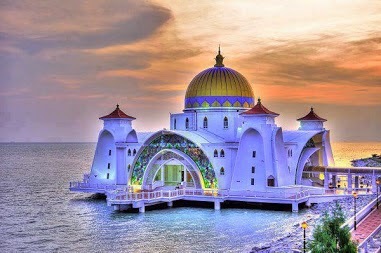 Masjid Selat Melaka (Malacca Straits Mosque) in Melaka, Malaysia. 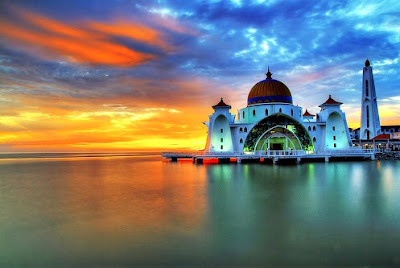 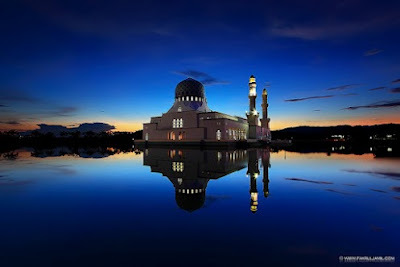 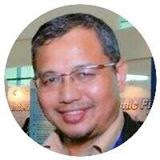 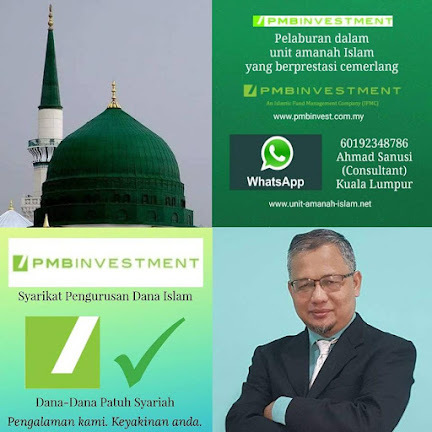 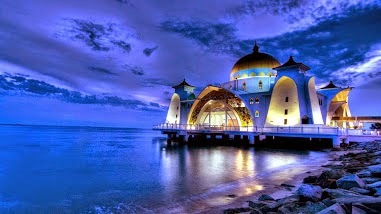 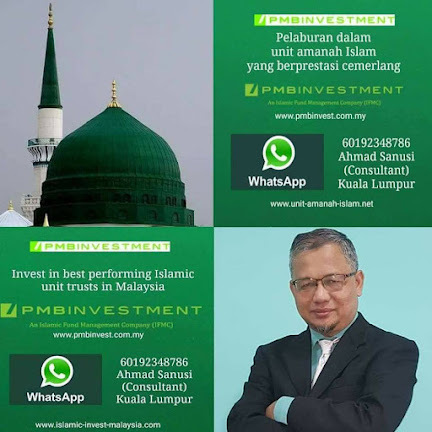 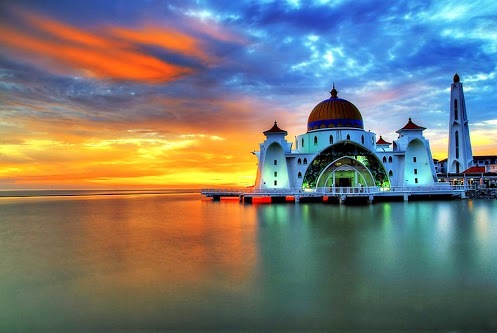 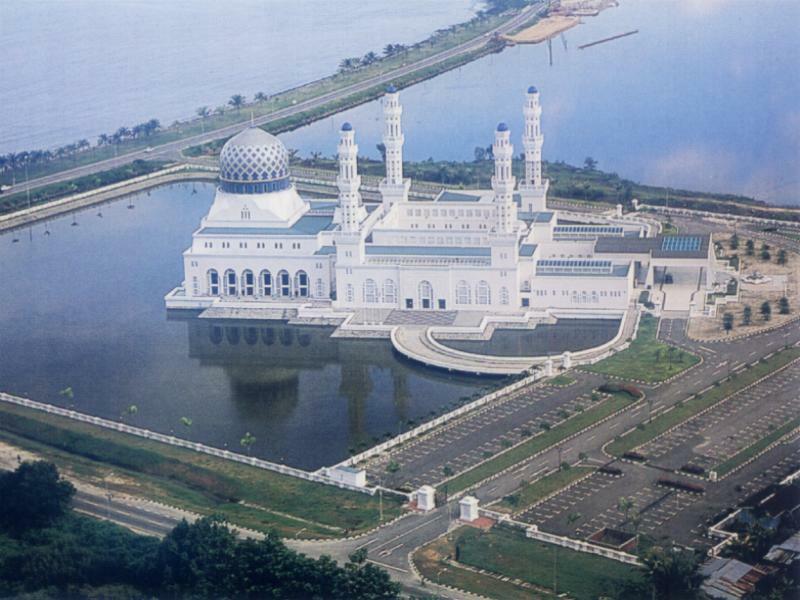 This masjid is located by the Malacca Straits, one of the busiest shipping lane in the world, right from the era of Western colonization when Western colonizers came by ships looking for spices and other oriental richness to the modern days of international trade. 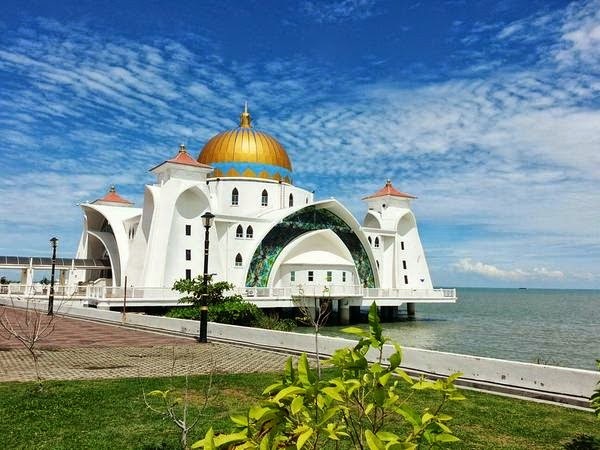 Colonizers from Portugal, Netherlands, England and Japan came to Malacca and retreated but Islam remains strong here, Muslims are unshakable in their belief and practices as can be seen from this beautiful masjid.